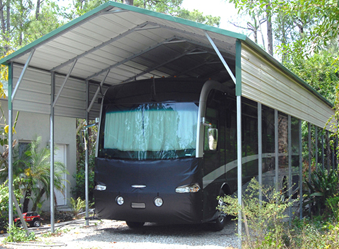 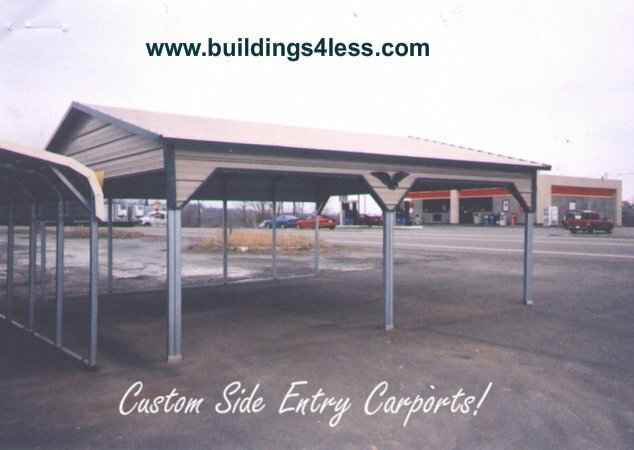 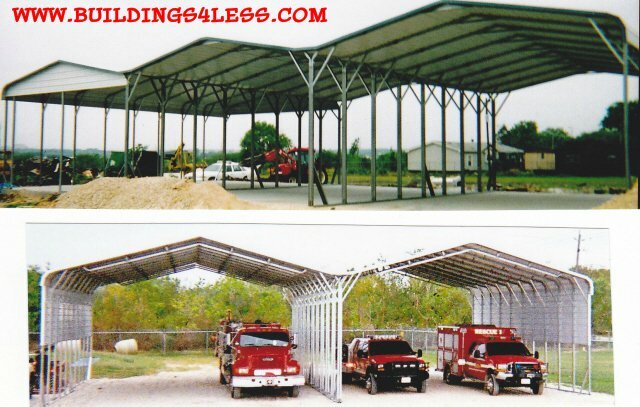 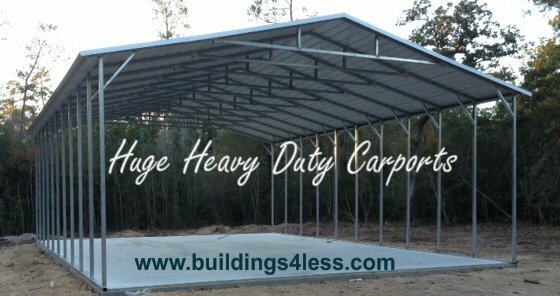 Welcome to our Garage, Carports, and Shops Page. 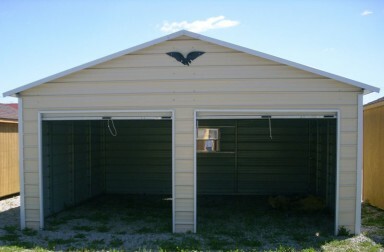 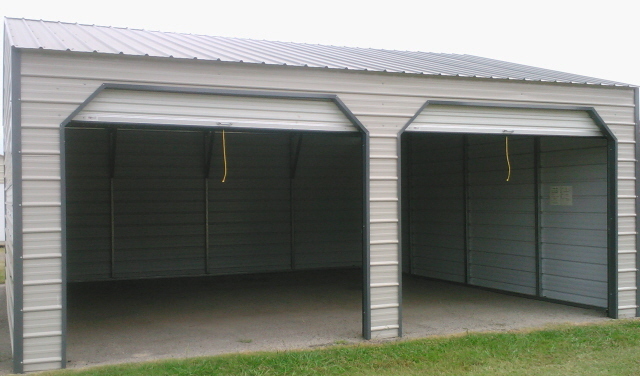 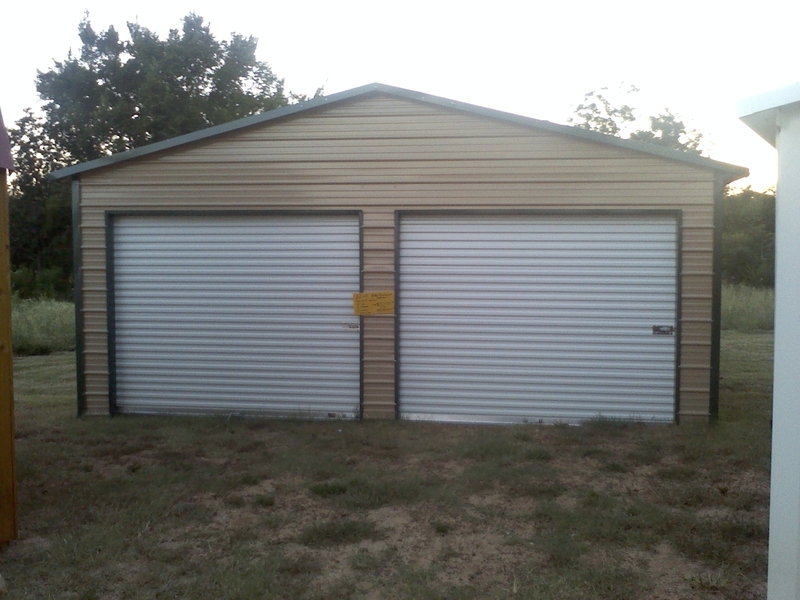 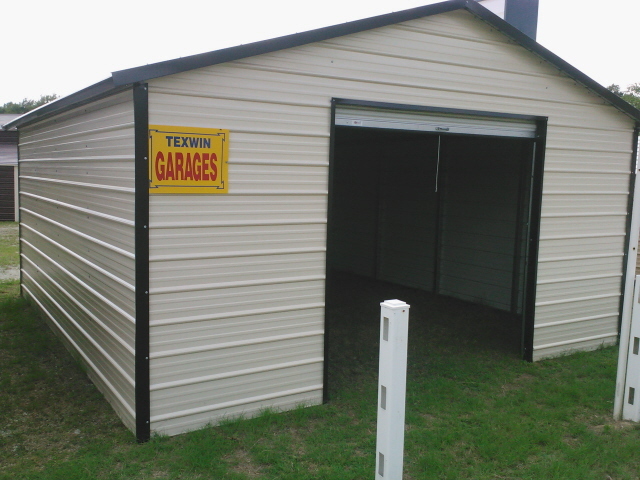 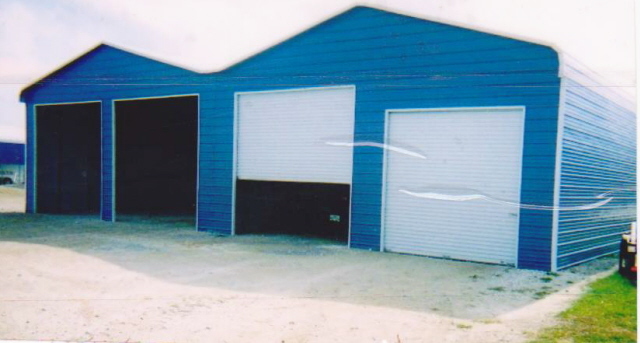 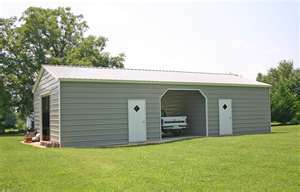 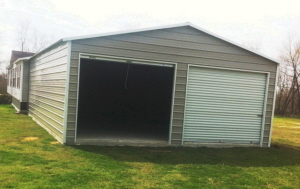 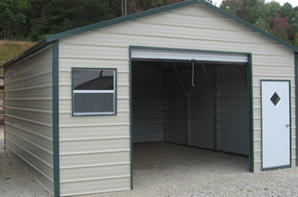 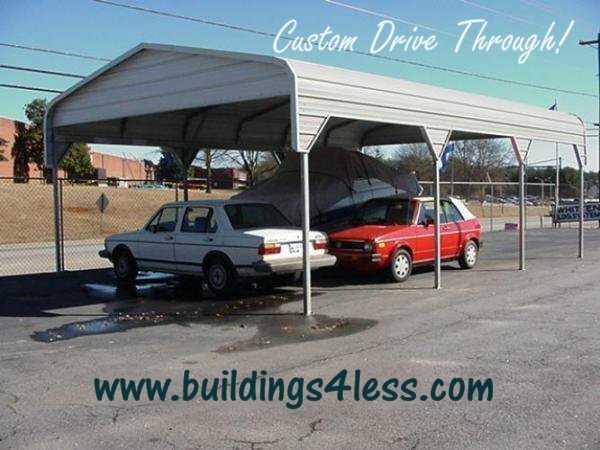 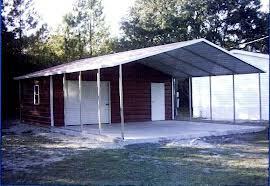 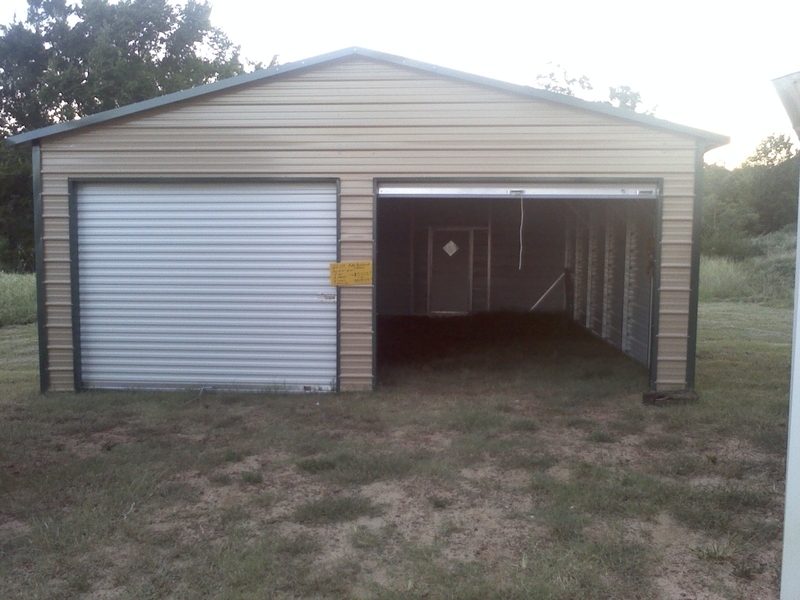 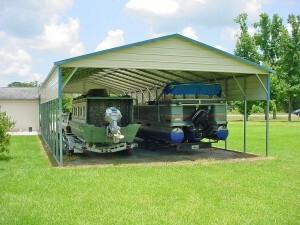 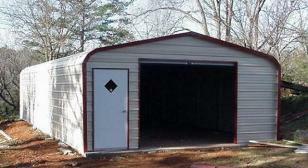 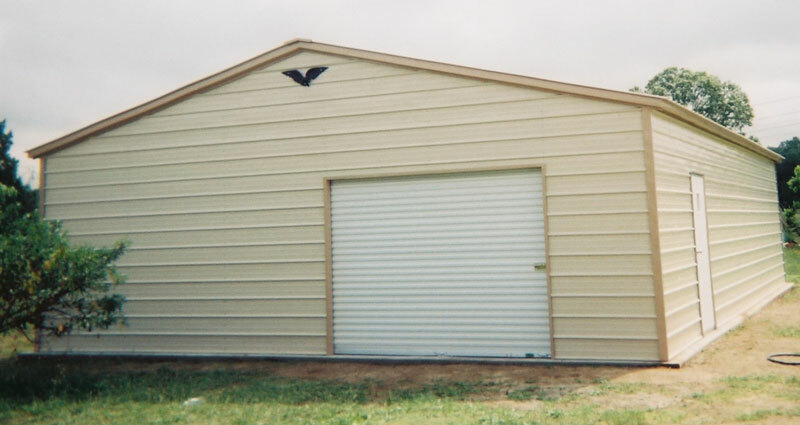 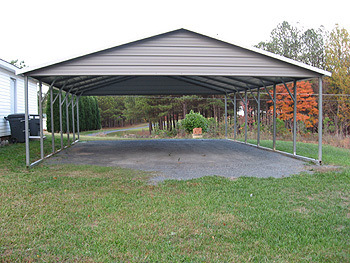 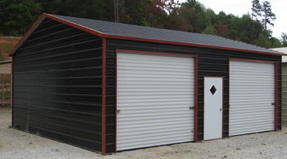 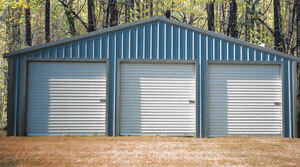 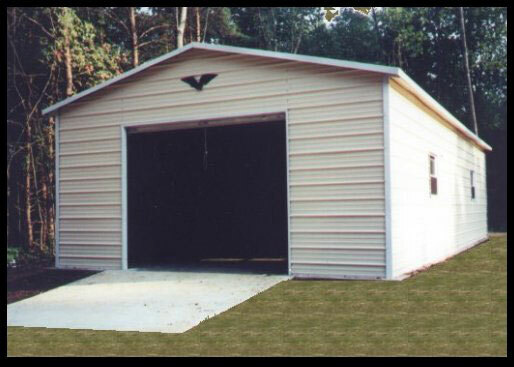 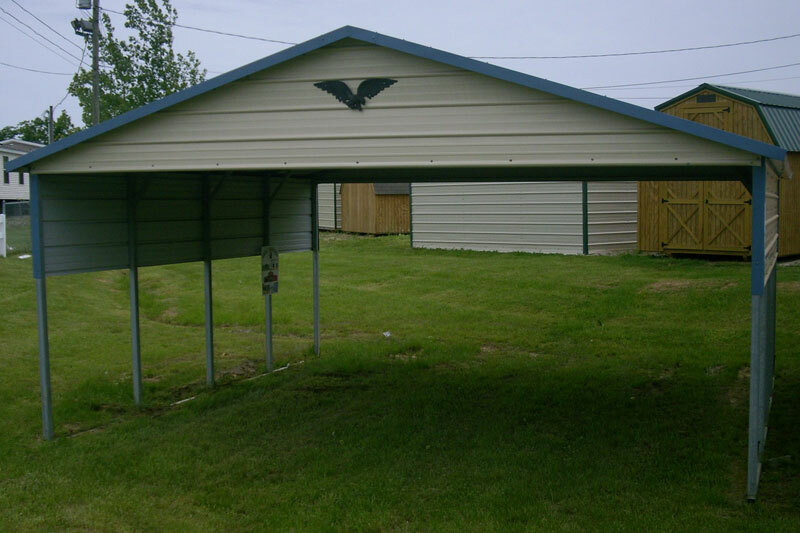 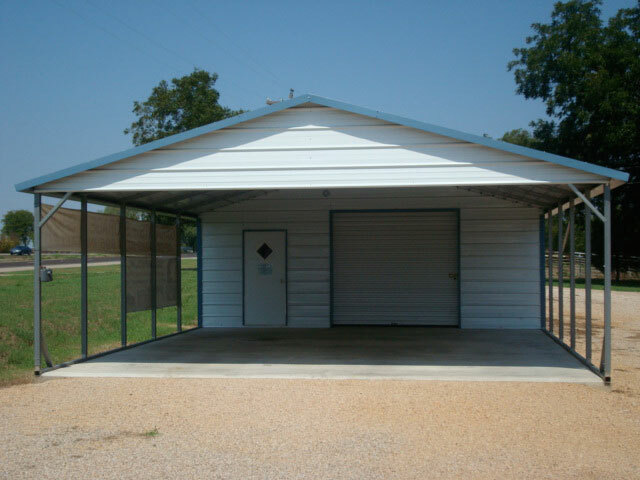 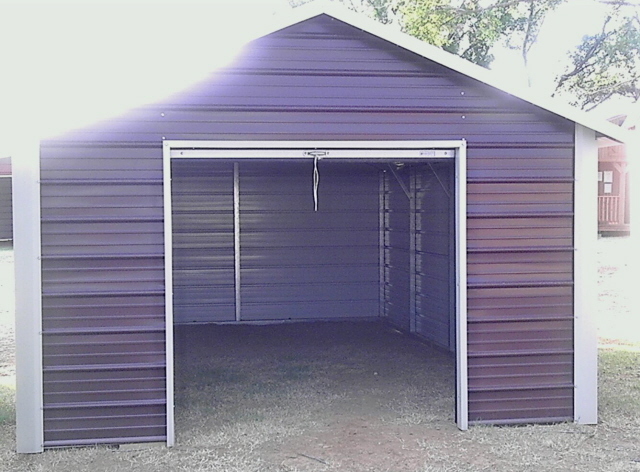 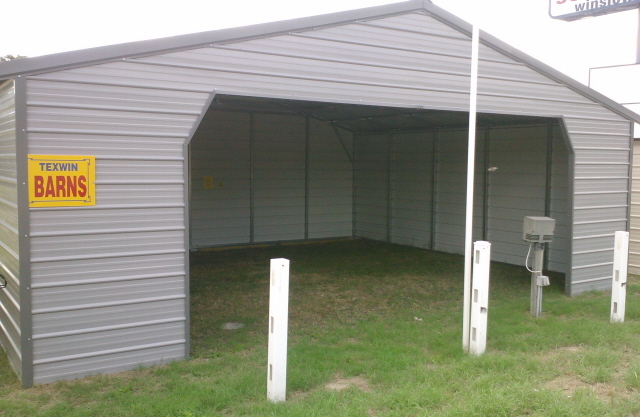 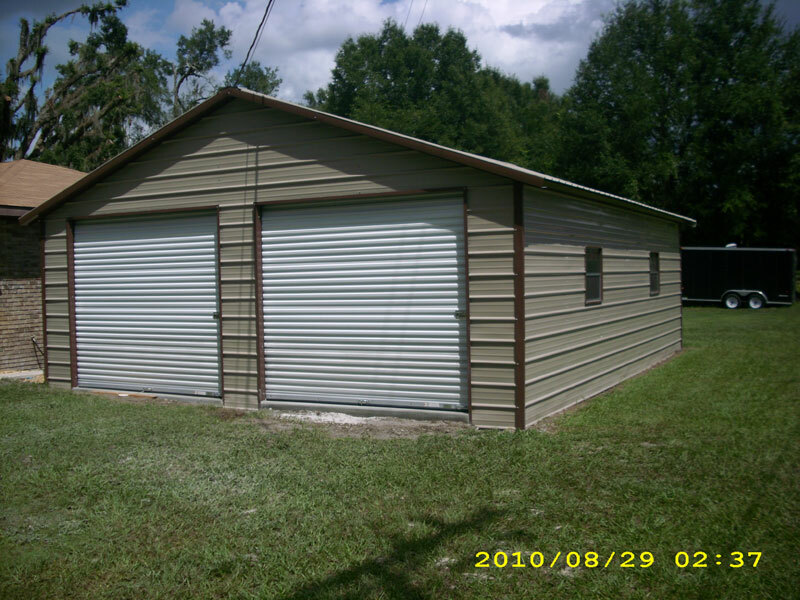 If you are looking for a garage, shop or carport, you have come to the right place. 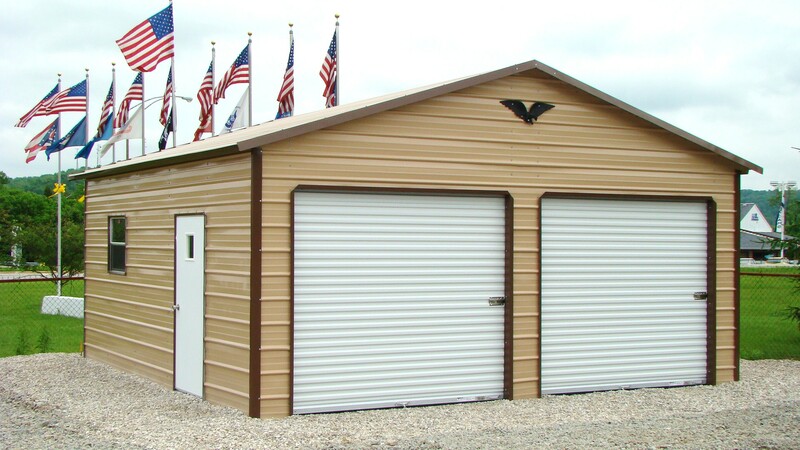 We can meet your needs with varied sizes and pricing options. 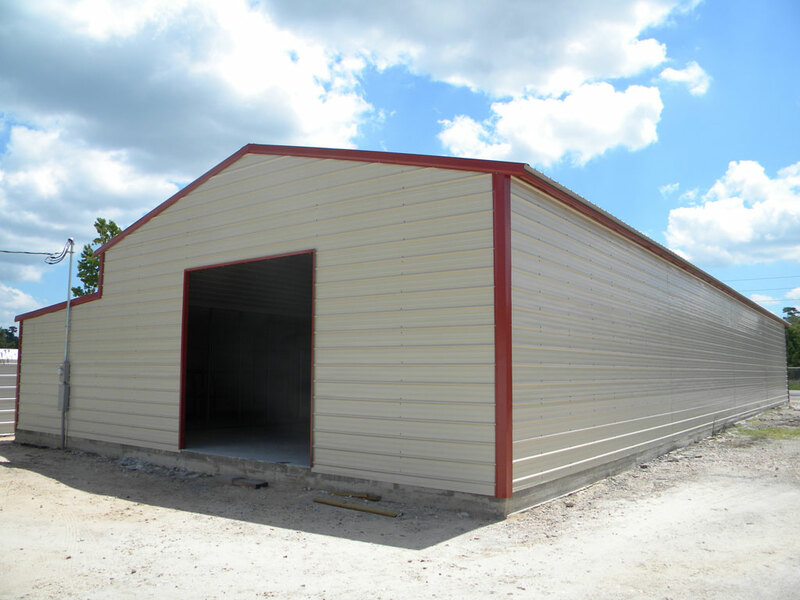 We have a forte for exceptional finishing and your building would be nothing less of a master piece. 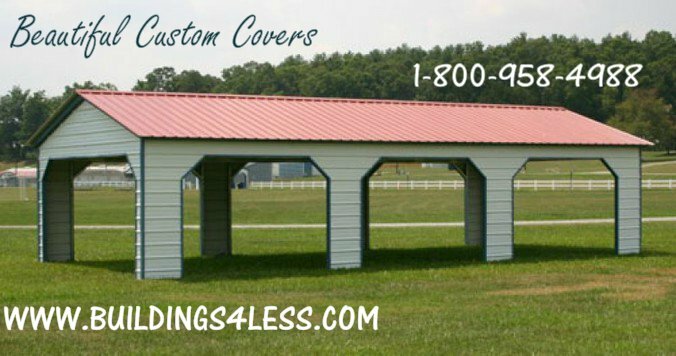 We have different colors and so many choices you can choose from, depending on your budget. 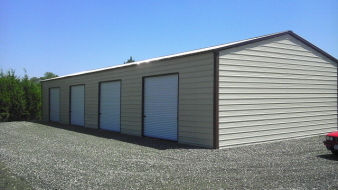 However, no matter your choice, we are keen on satisfying your exact need at the end of the day. 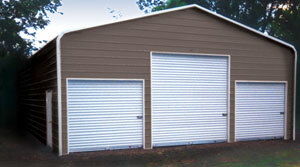 We currently service 30 states and growing! 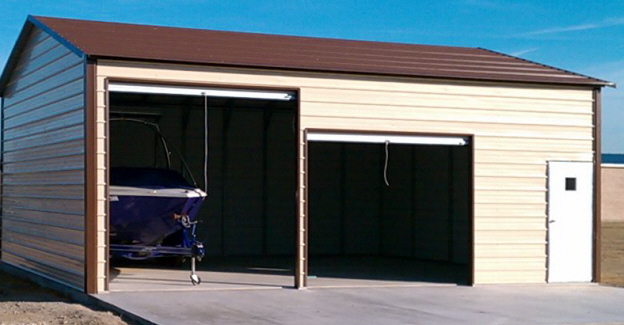 Top notch installers know how to get the job done right the first time, and super fast! 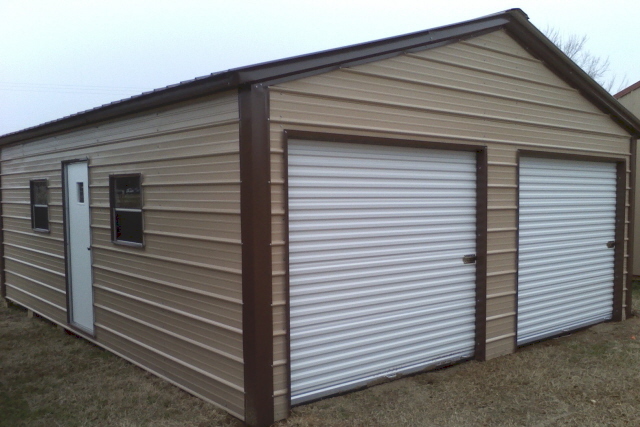 Rent To Own/NO Credit Check is available everywhere and we offer great bank financing with approved credit in some areas. 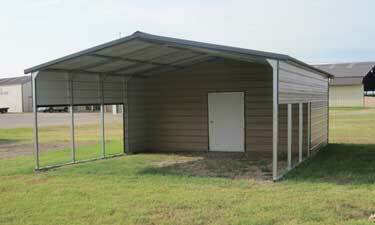 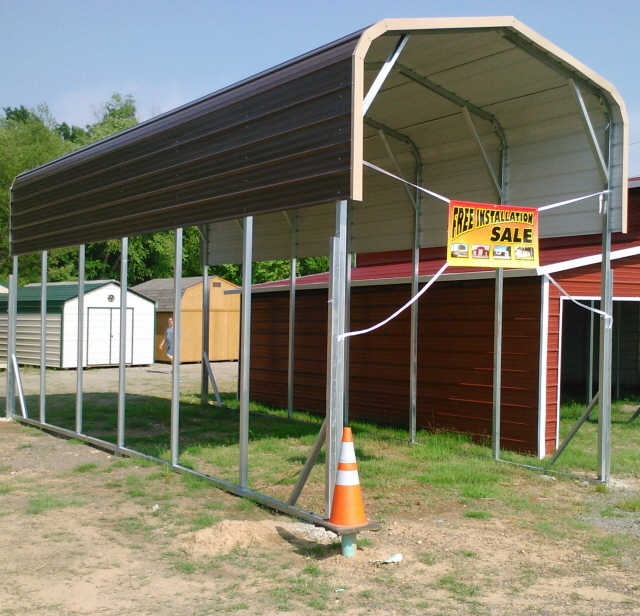 We help make it easy for everyone to own an outdoor structure. 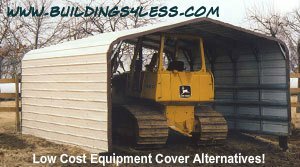 You can request a no obligation free quote with the form at the bottom of this page. 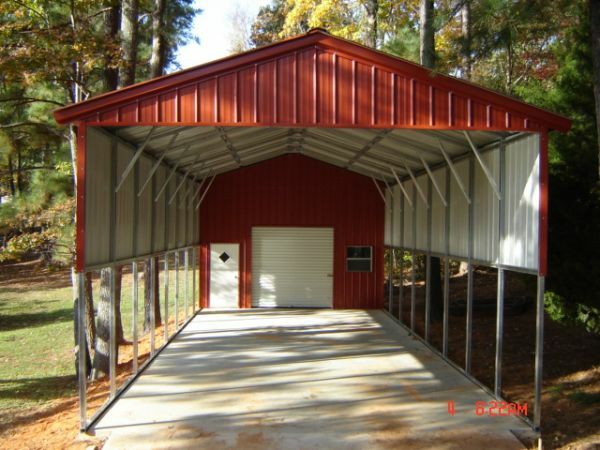 Kindly go through the following gallery for ideas on what you want. 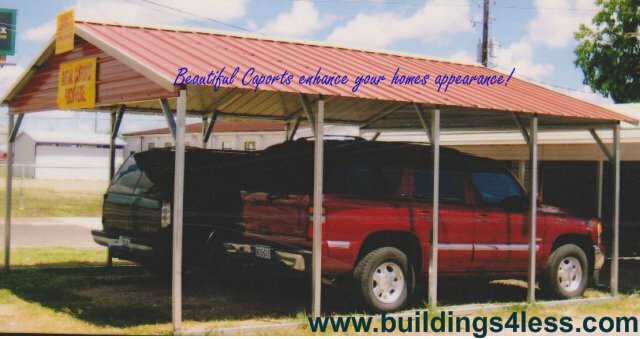 If you see anyone that catches your fancy, you can go ahead and click to enlarge the picture so you can reference that picture number when you contact us. 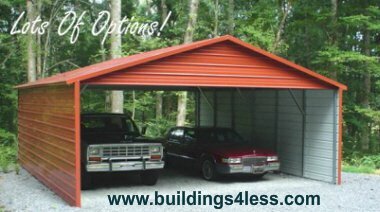 And you can always REQUEST A NO OBLIGATION QUOTE. 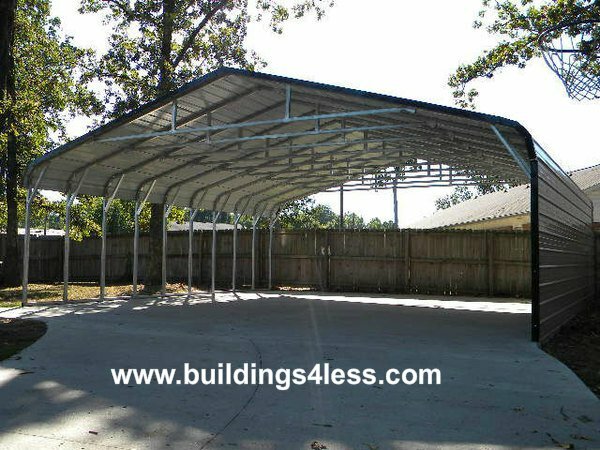 NOTE: You never have to wonder what your building is going to look like with Buildings4Less. 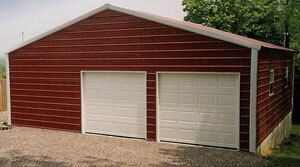 We will provide you with a 3D color design in your color choice so you know EXACTLY how it will turn out. 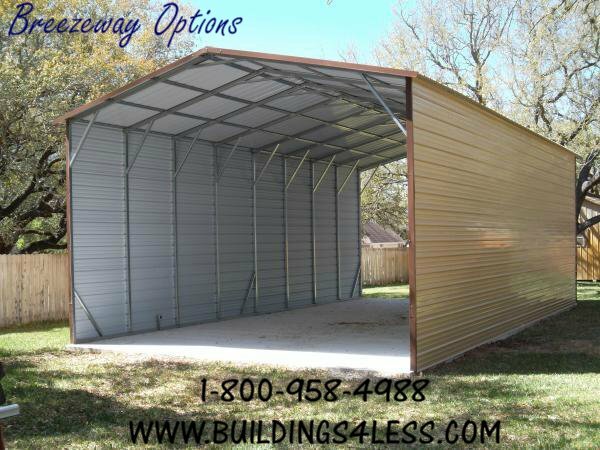 It is impossible to price out the thousands of combinations we have available but you will find a wide variety of building sizes with pricing on our site! 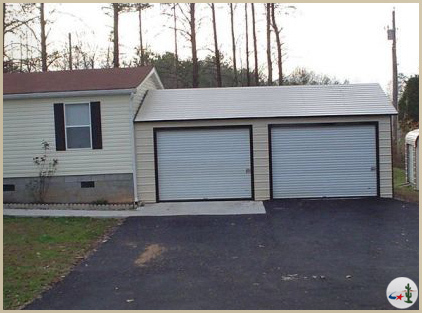 – Loans up to $25,000 With As Little as $0 down. 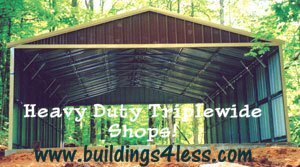 IMPORTANT NOTICE: Prices vary by state. 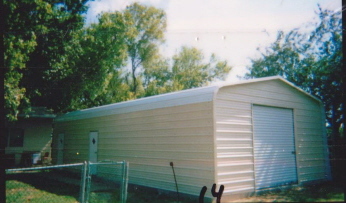 Rent to own/no credit check and bank financing with approved credit available. 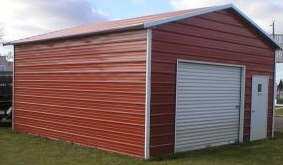 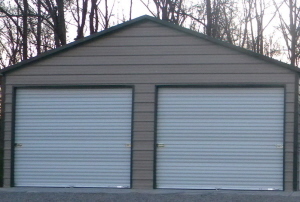 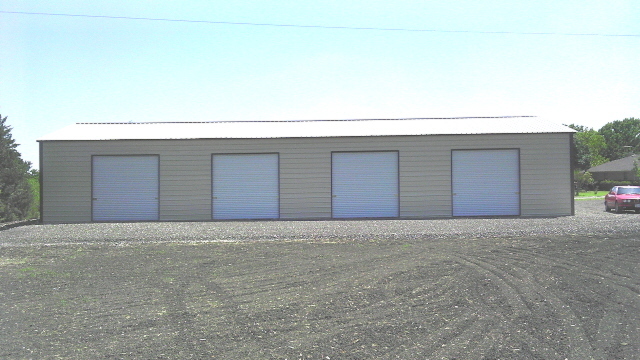 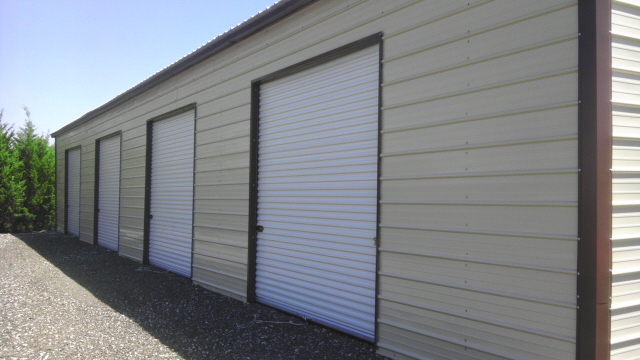 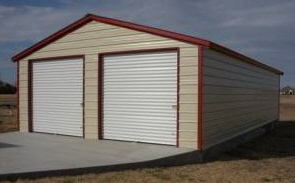 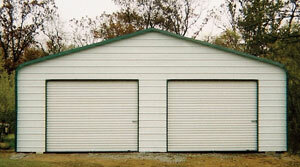 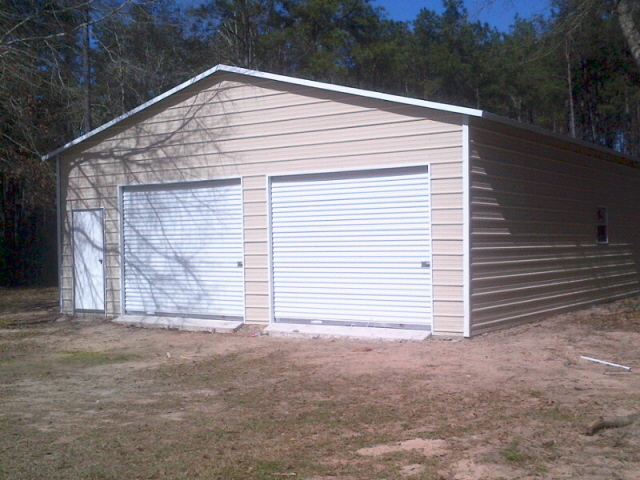 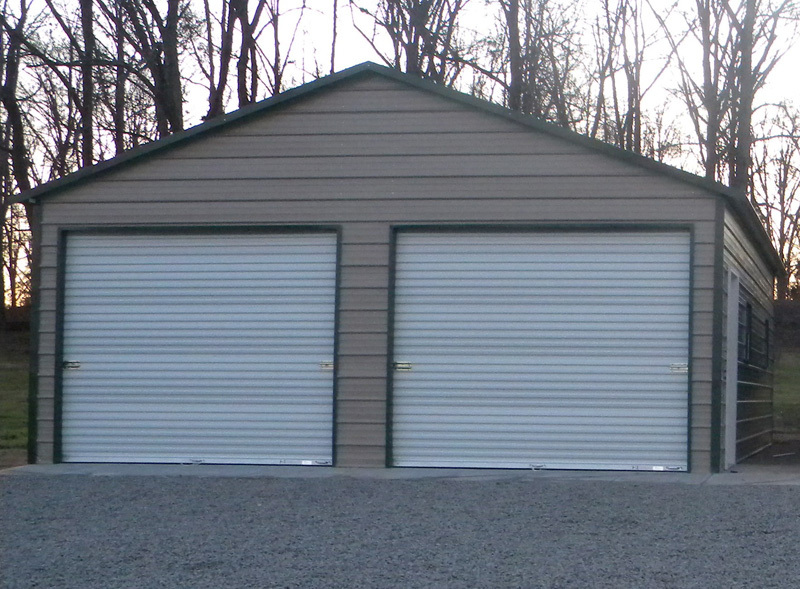 30x80x12 with (4) 10x10 side roll up doors...CERTIFIED 35PSF/140MPH! 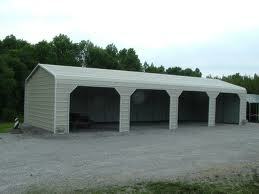 Included as the base model for all of our building styles. 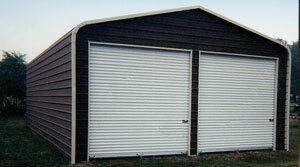 Provides a classic look that is popular with many of our customers. 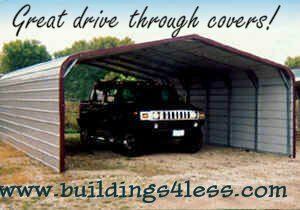 Also usually known as a Gabled Roof. 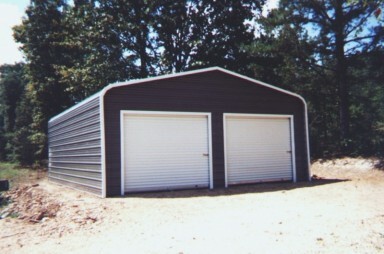 This roof style has panels that run from the back to the front. 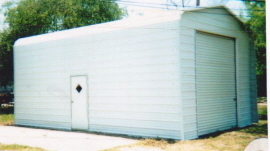 Provides upgraded strength. 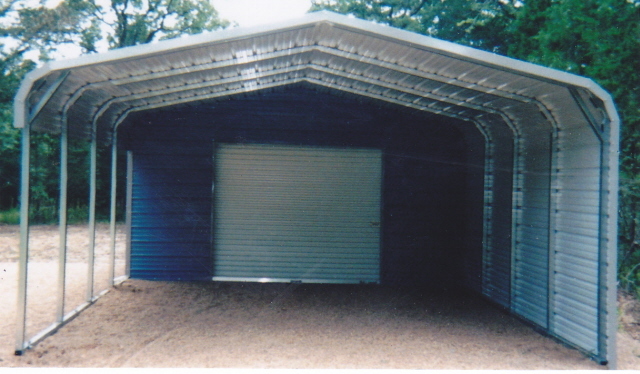 The best roof style we offer. 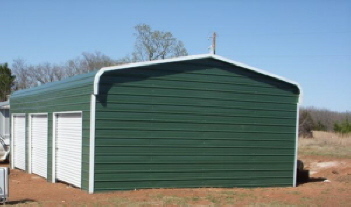 It provides increased strength as well as shedding snow and water off the sides of the building. 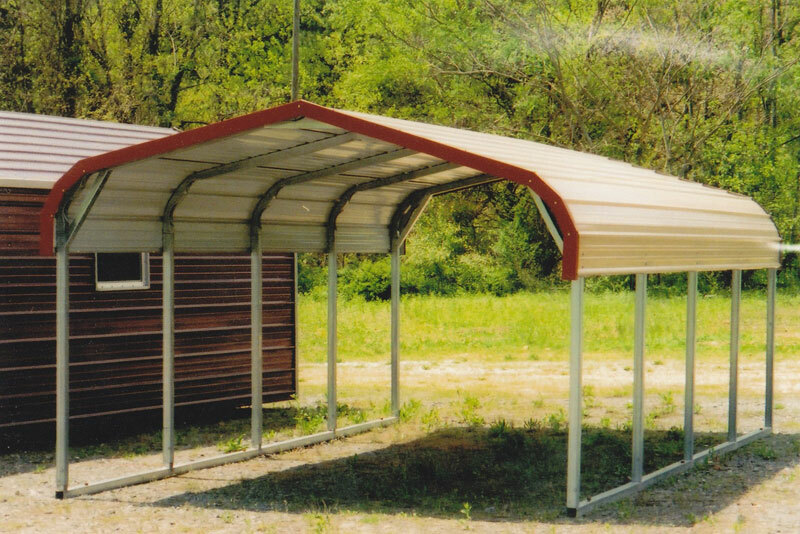 Our Sloped or Slanted roof can be built using any of the three styles mentioned previously. 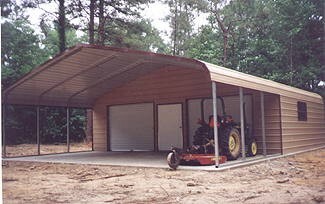 Great for space saving buildings. 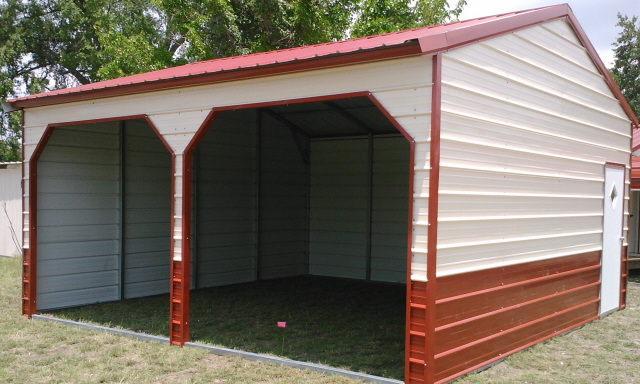 We are now offing Single Slope Roofs in this style in multiple sizes. 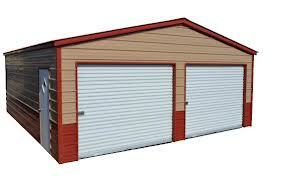 We can leave them open, fully enclose enclose them with walk in doors, walk in roof, windows, etc. 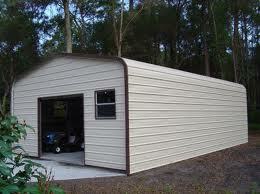 This style is best for fitting them under your existing house eaves. 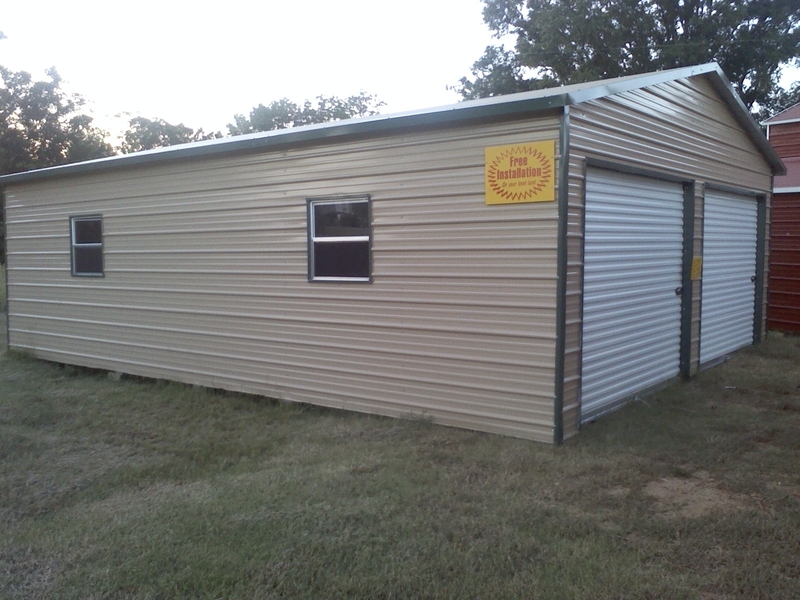 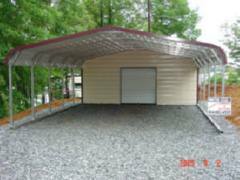 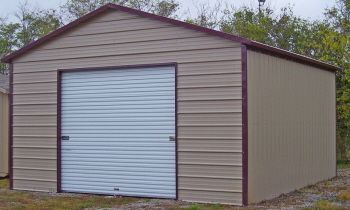 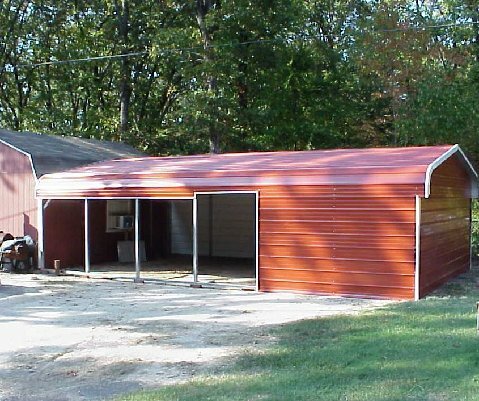 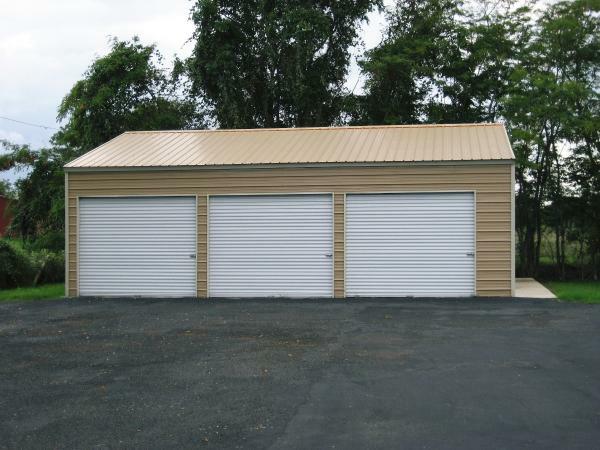 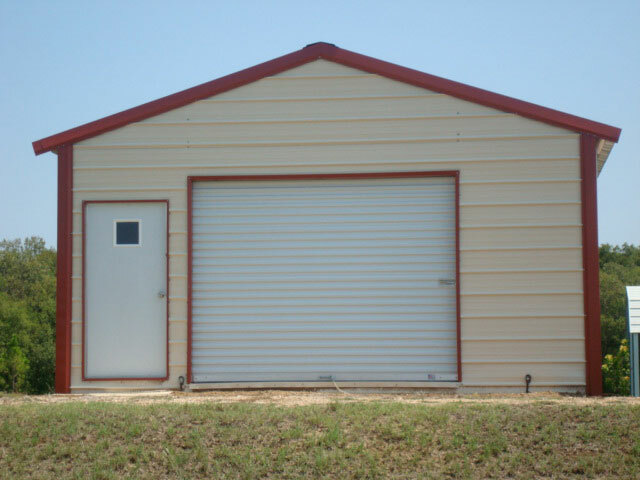 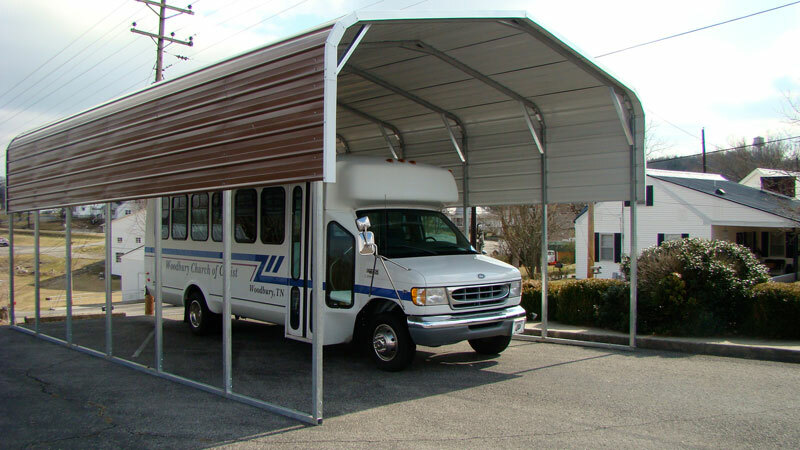 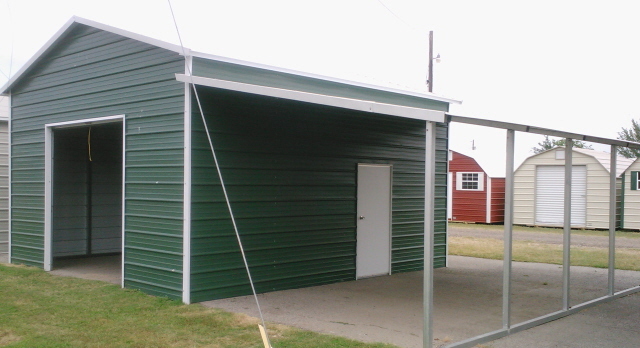 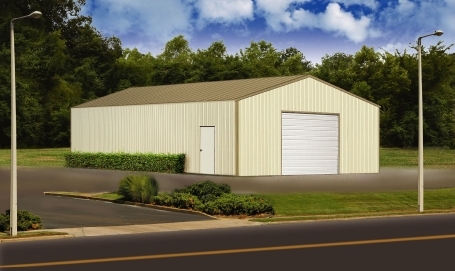 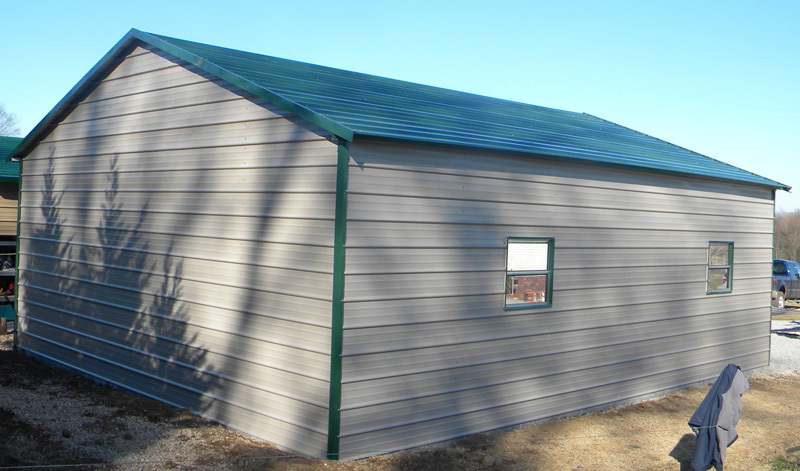 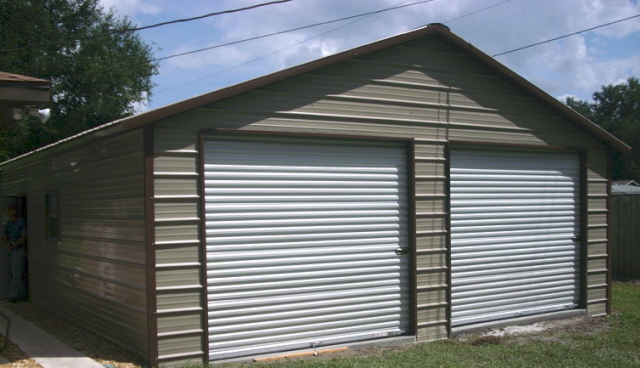 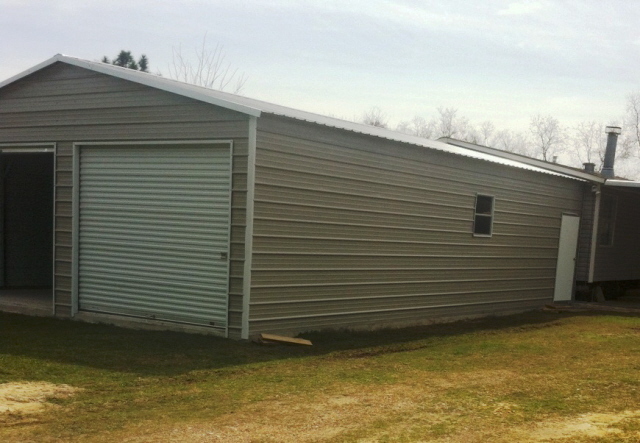 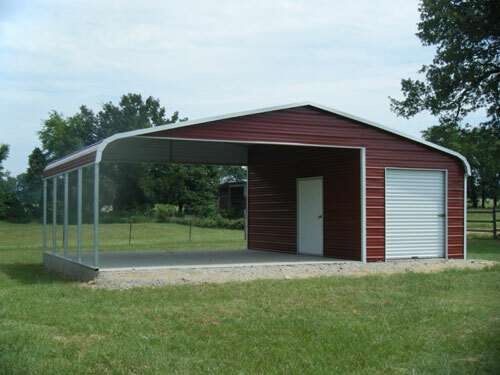 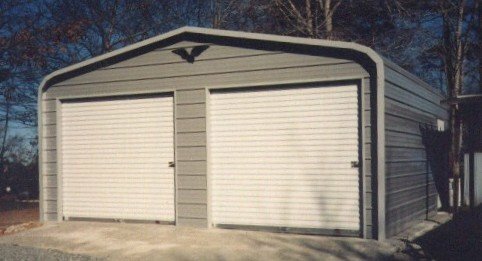 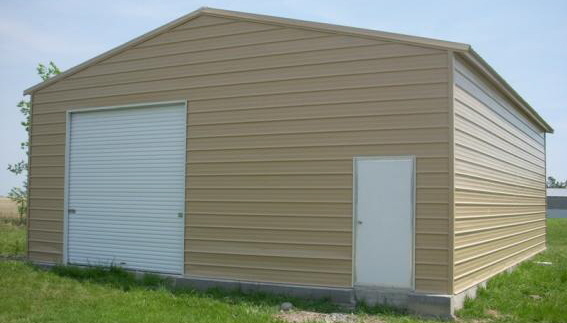 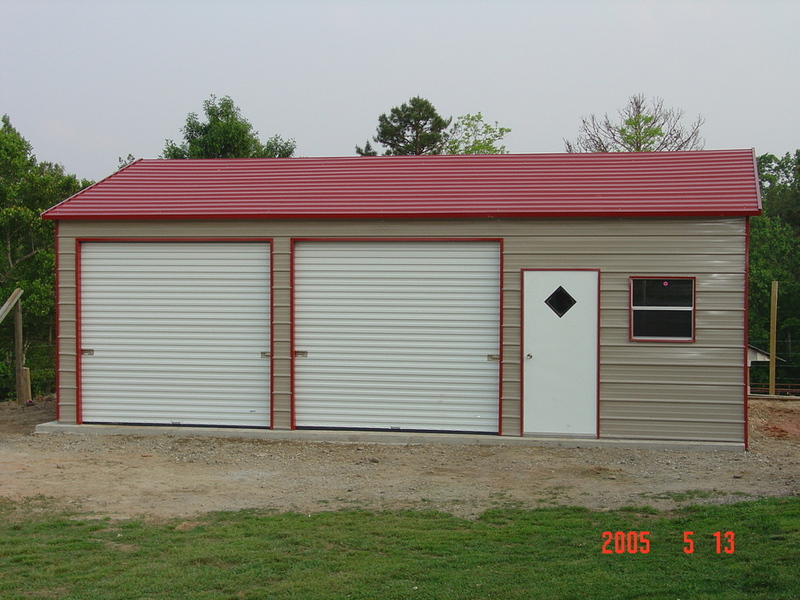 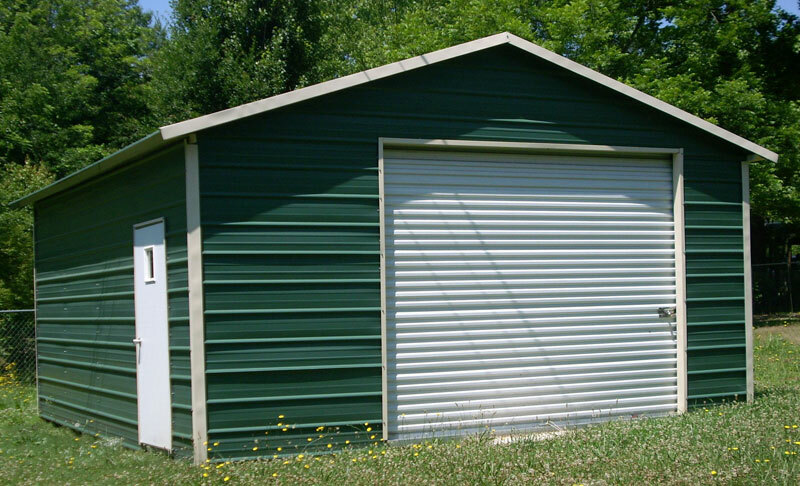 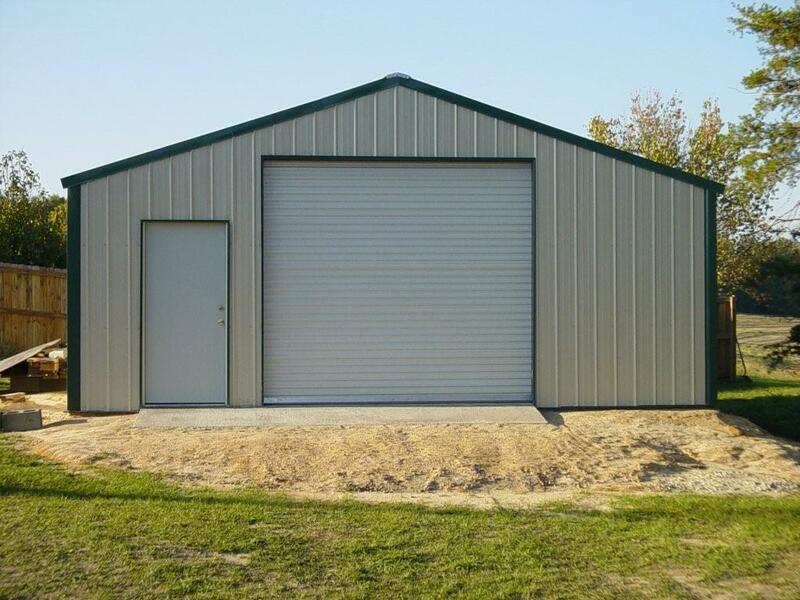 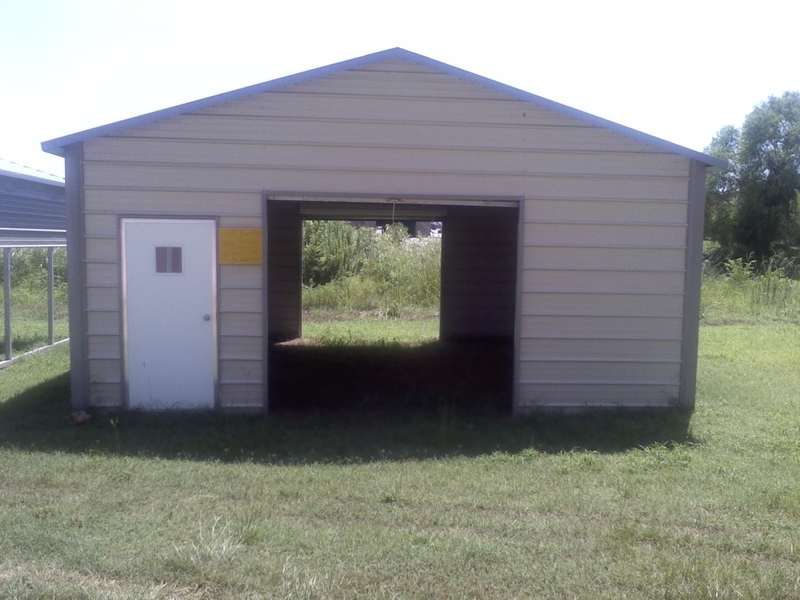 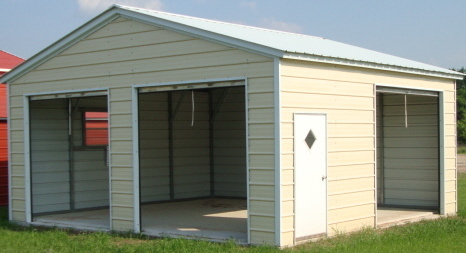 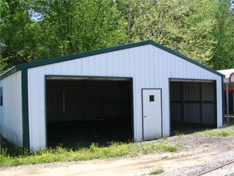 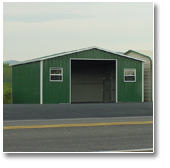 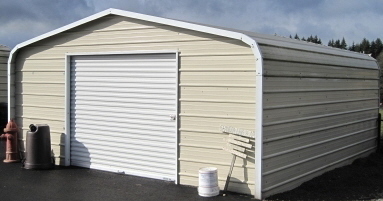 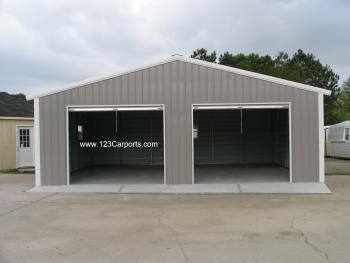 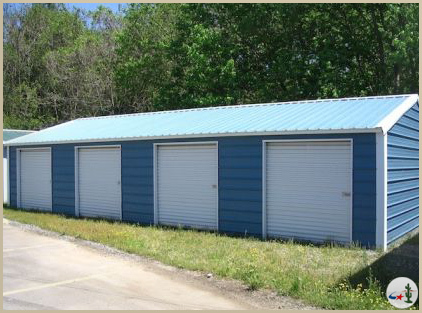 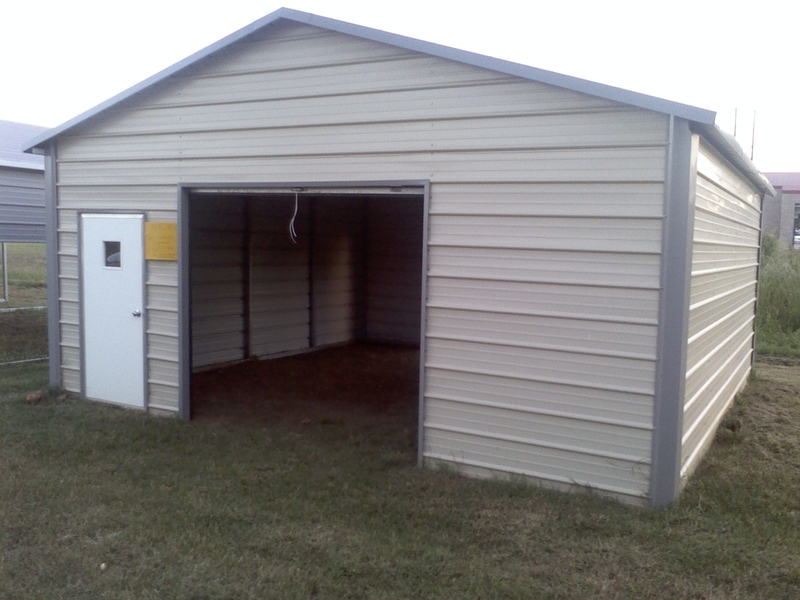 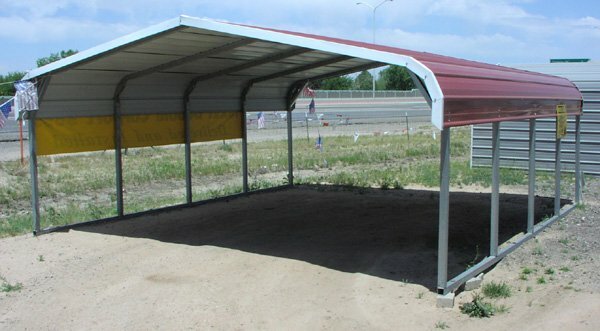 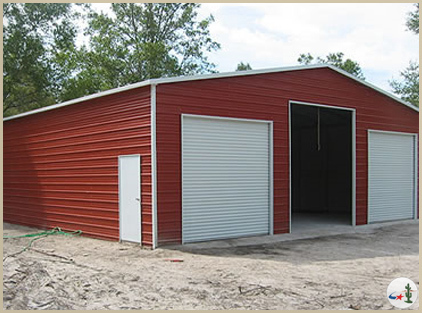 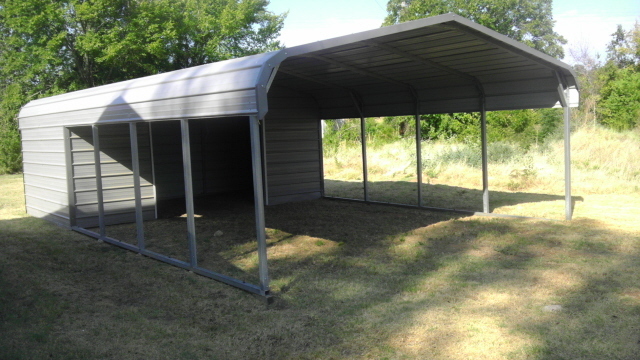 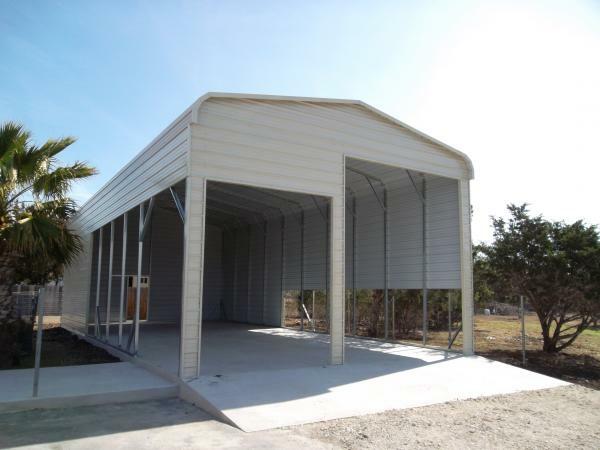 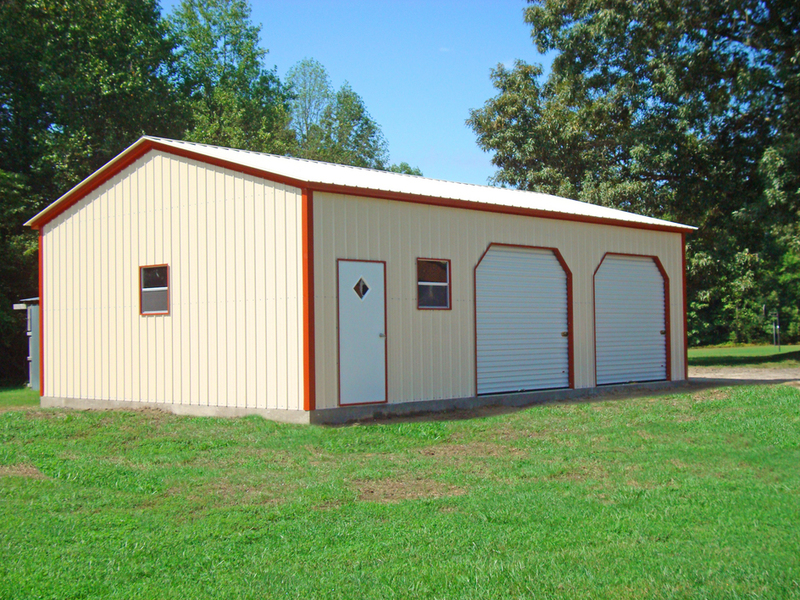 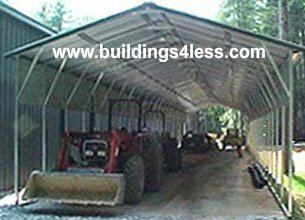 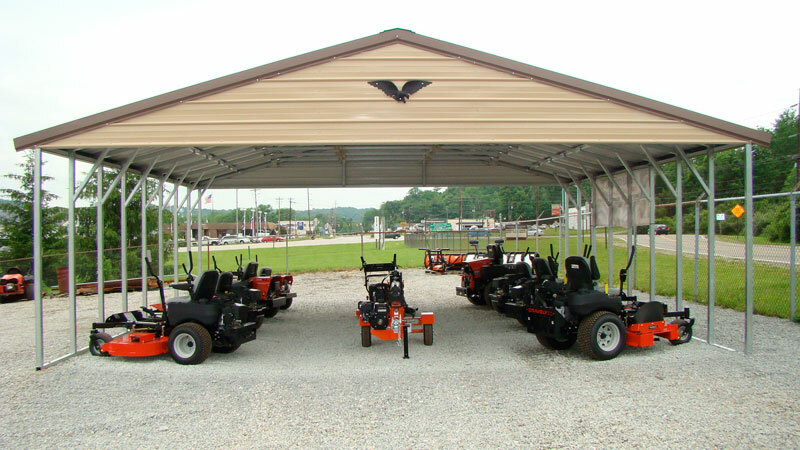 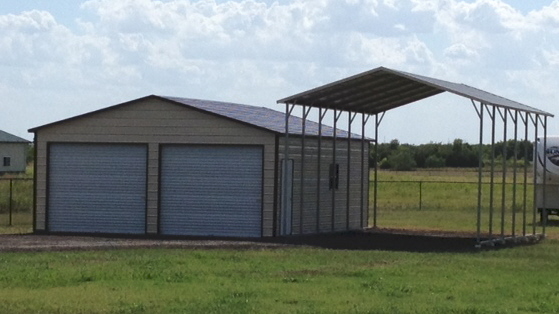 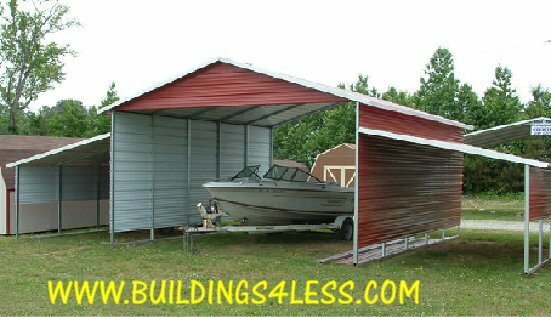 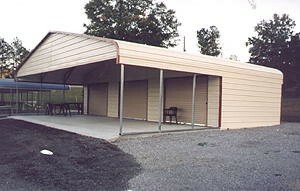 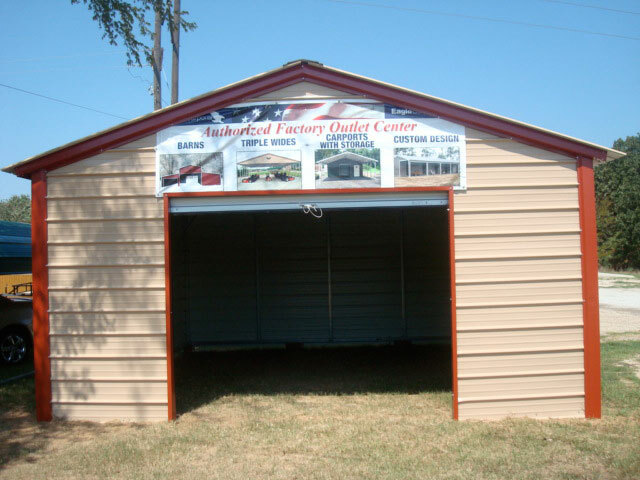 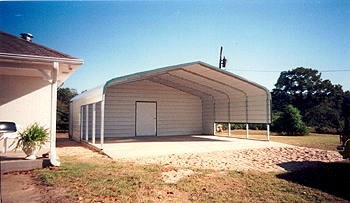 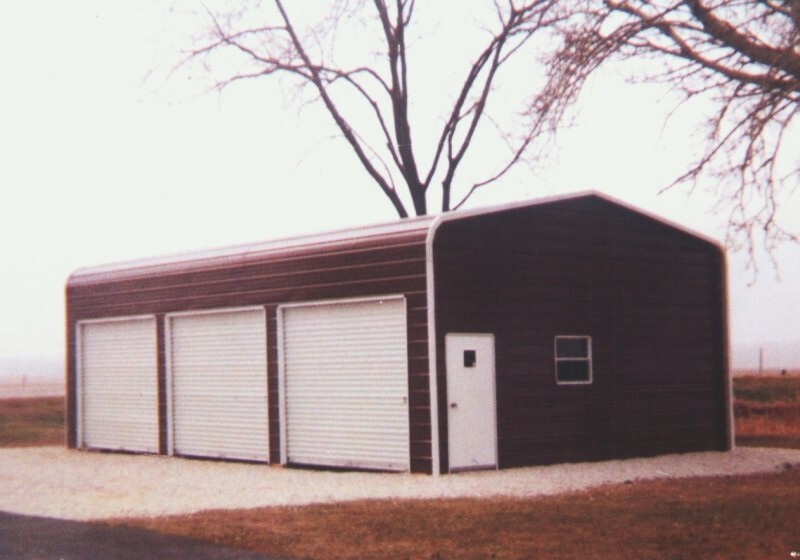 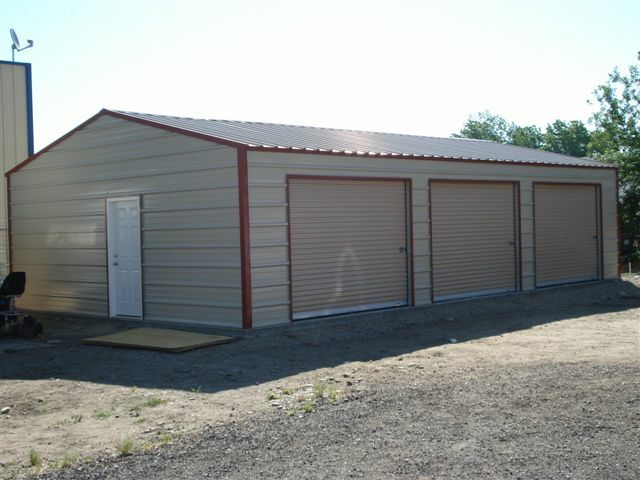 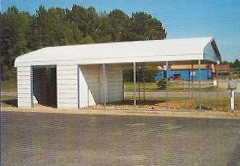 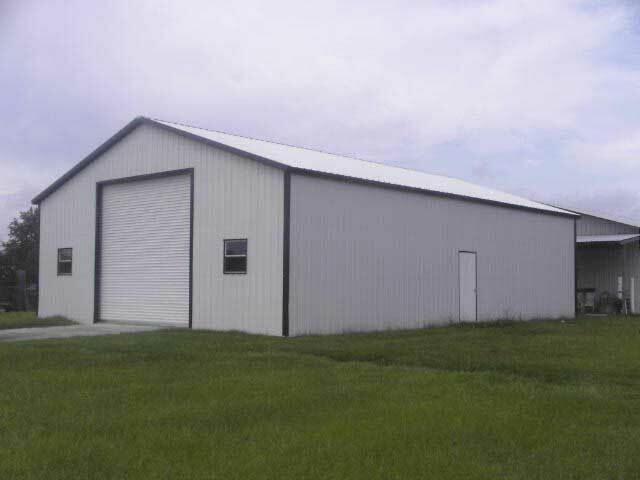 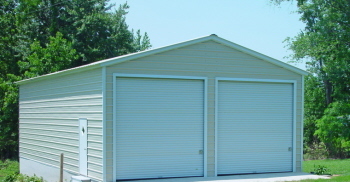 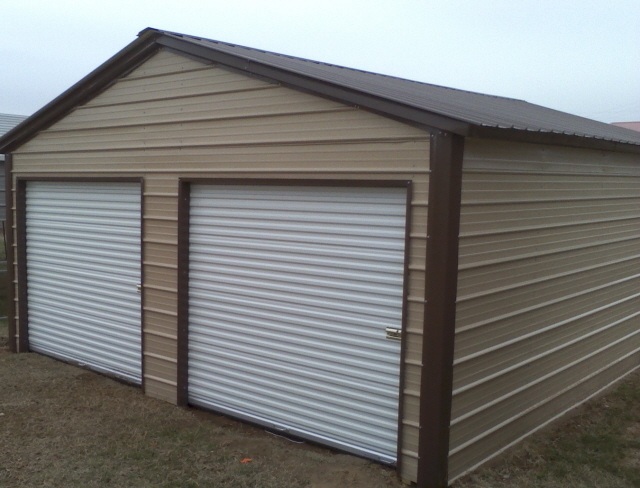 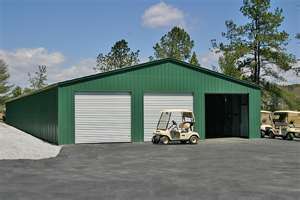 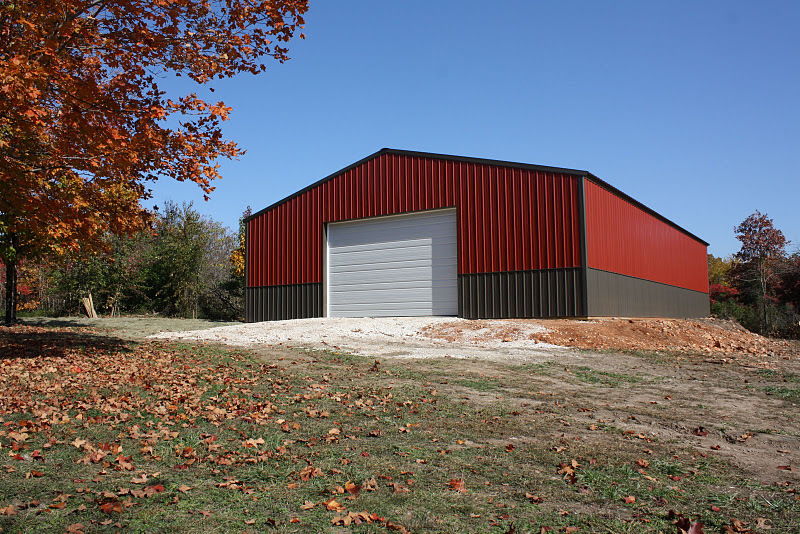 Basic Pricing include installation, are 35psf/140mph certified units, have A Frame style eaves w/vertical roof panels, 8-10′ storage area and a roll up door! 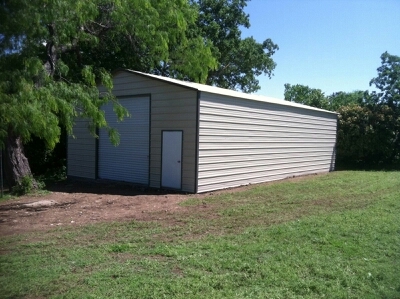 Walk in doors, windows, etc are available. 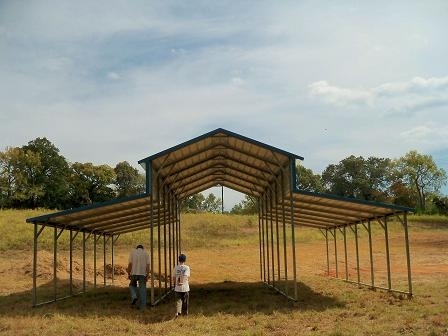 IMPORTANT NOTICE: Prices vary by state and now due to new engineering standards taking all of our buildings from a standard 20psf/110mph rated building to a 30psf/140mph rated “certified” building our pricing will increase from $200-$500 across the board. 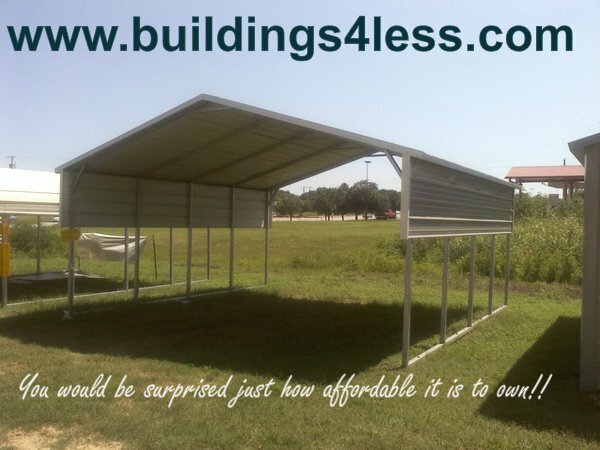 We will only sell “certified” buildings at Buildings4Less. 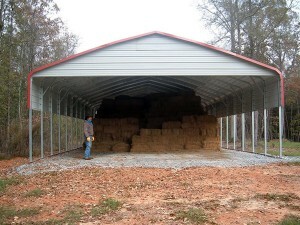 But that’s a small amount to get a better engineered building and we are very excited bout this change! 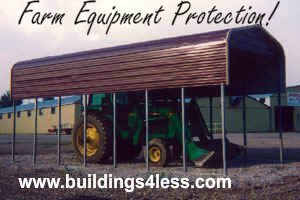 This takes affect on Feb 27th 2017. 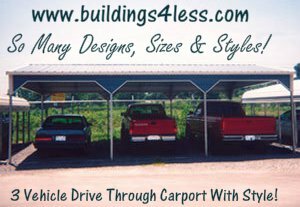 We are working on replacing pictures throughout our site. 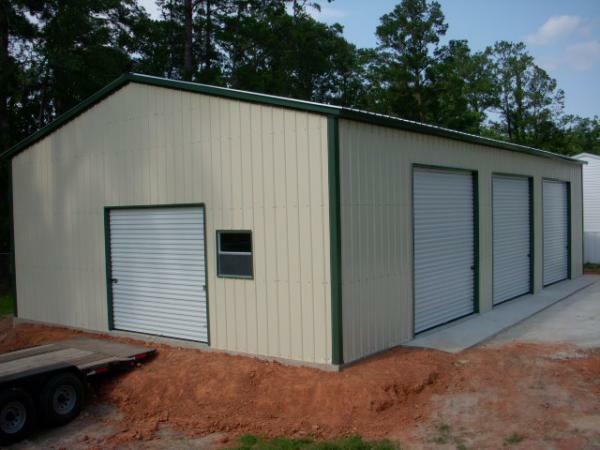 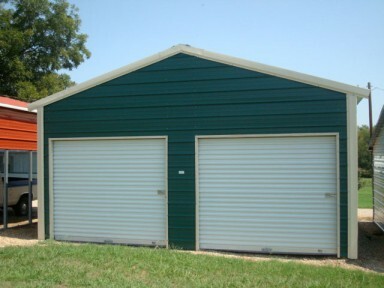 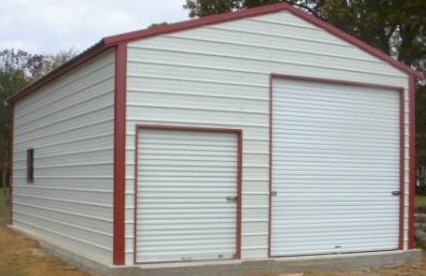 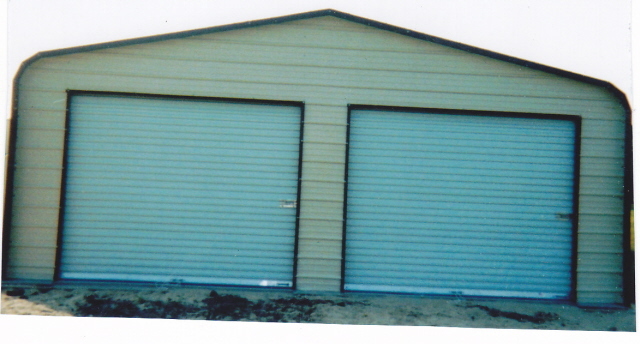 Basic Pricing include installation, are 35psf/140mph certified units, have A Frame style eaves with vertical roof panels and roll up garages door(s). 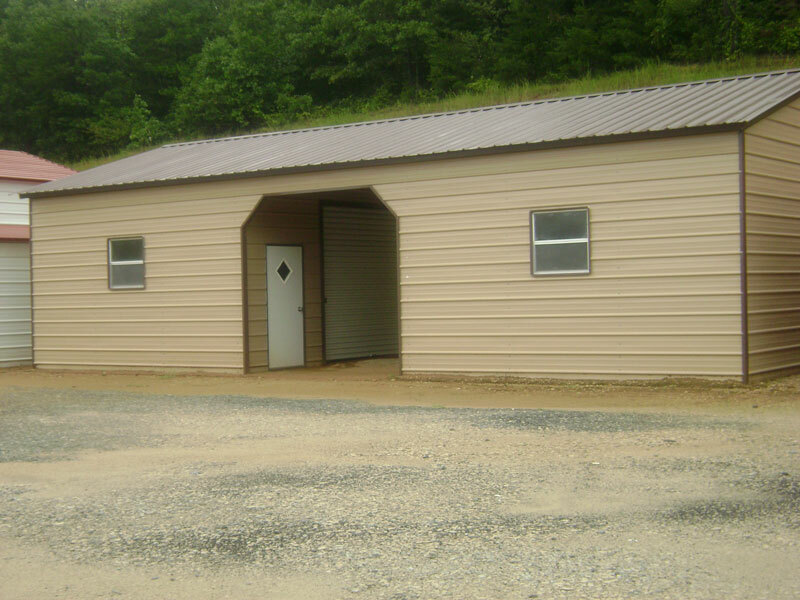 Walk in doors, windows, etc are available. 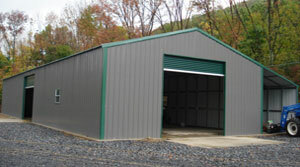 Apply for bank financing securely by clicking here!